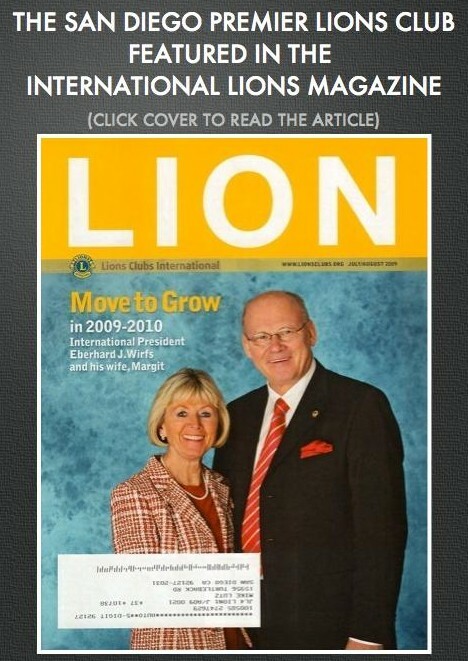 Welcome to the San Diego Premier Lions Club website! Feel free to browse the tabs to you left. If you have any questions or want more information, click the "Contact Us" tab in order to get a hold of one of the members. We appreciate all your support and we hope to see you at one of our meetings.